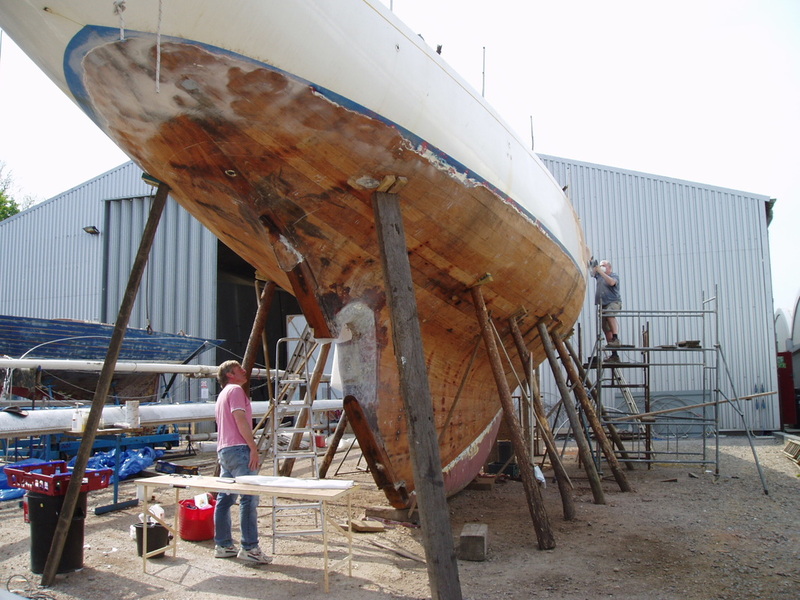 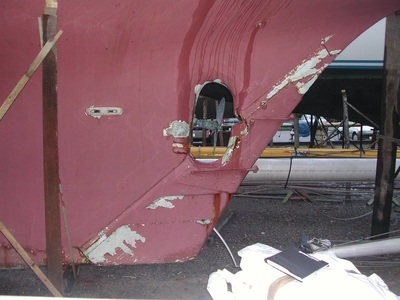 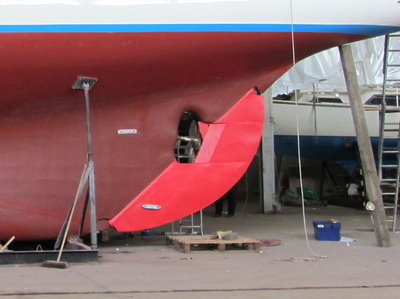 ﻿In 2006 it was decided that the existing rudder (which was not the original from 1958) required attention. It was made of wood on a steel frame, and the wood was becoming loosely attached. 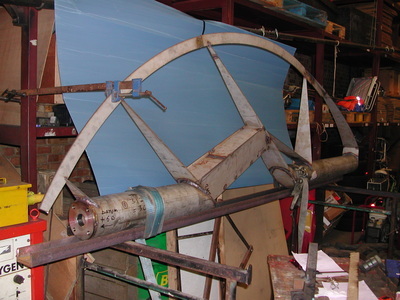 It was of triangular shape, rather than the original, and traditional, semi-eliptical. 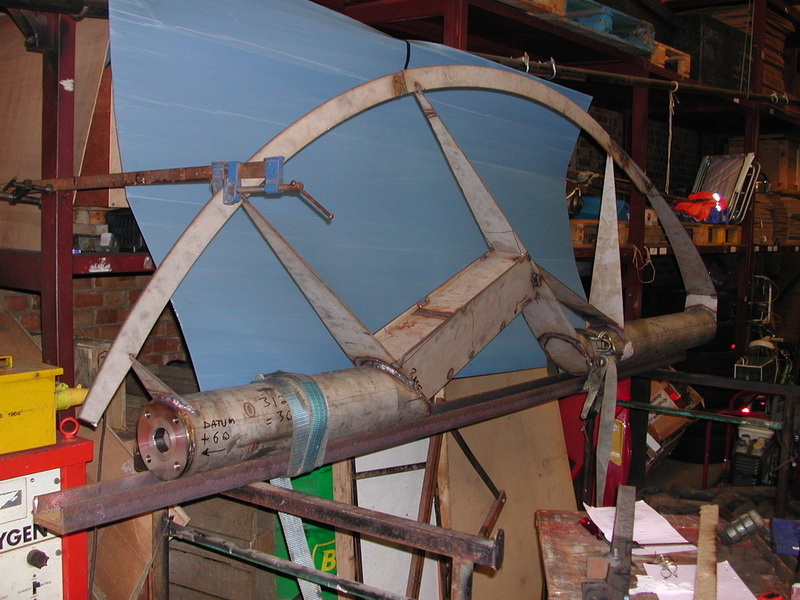 We put out a sketch to a local fabricator to make one in steel, and the quote came back at £3000. This was based on a simple profile and the “aerofoil” section envisaged would have undoubtedly cost considerably more. 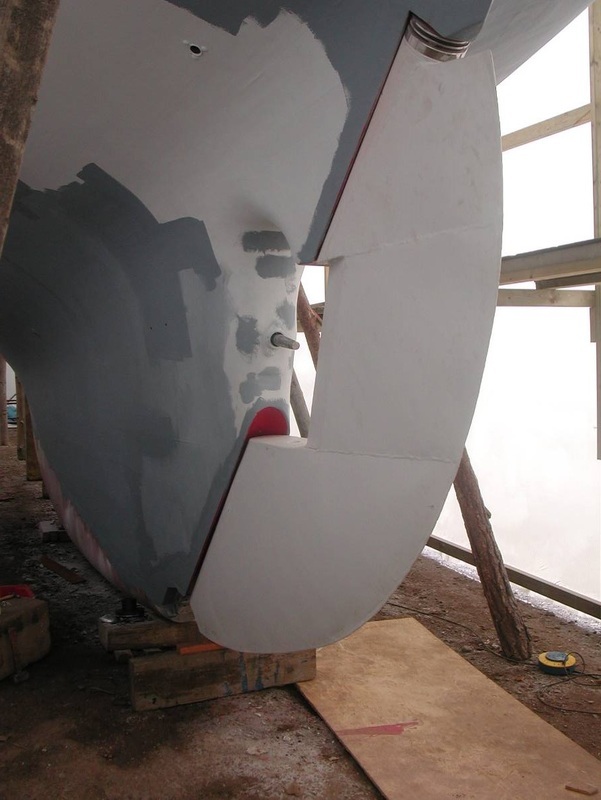 This prompted the thought to build it ourselves, and if so to build it in marine stainless steel - the design and fabrication was carried out by SPS Member David Goodwin. 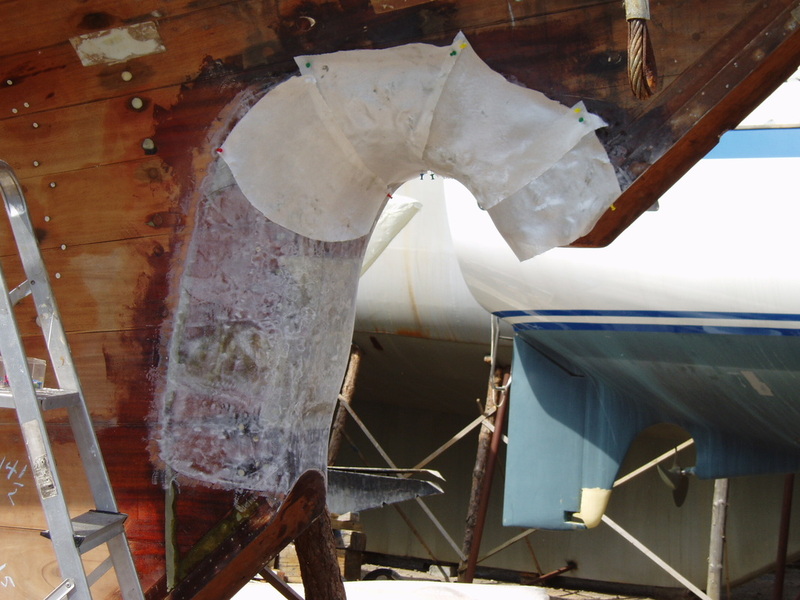 After the America's Cup in 1958, several commentators suggested the original rudder was too small, requiring too much helm and slowing the boat. Accordingly it was decided to build to a semi-eliptical shape, but to maximise the chord: 1.2m being the width of the stainless sheet. 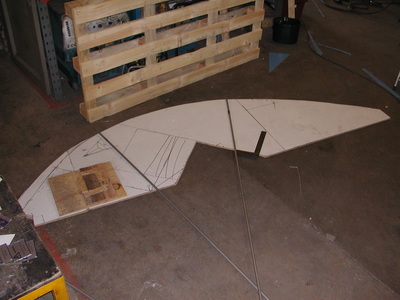 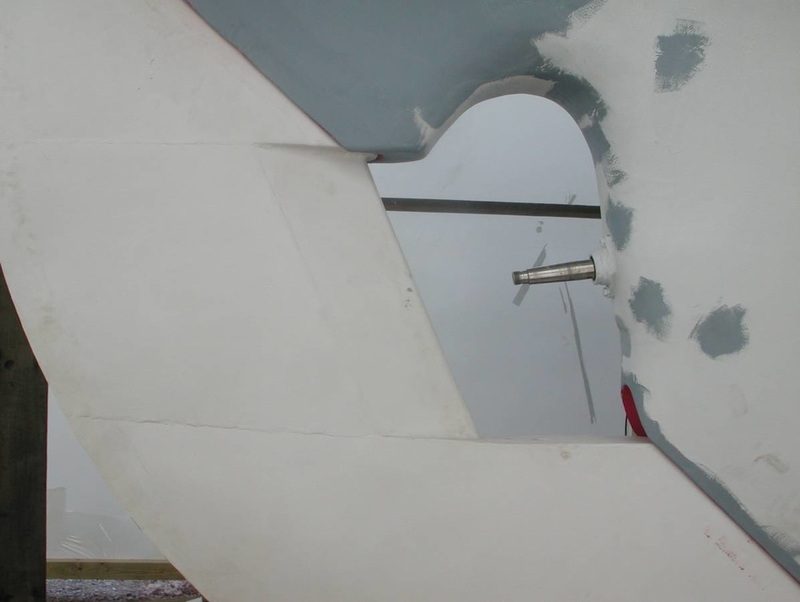 The structural design was quite challenging, as the tubular front edge of the rudder was not continuous, requiring a cut-out for the propeller. It was estimated to take two weeks, but took over six, and the material cost £2500.